Tamika Scott, LaTocha Scott and Tiny Harris have signed with CAA for worldwide representation in all areas..
Tameka “Tiny” Cottle, La Tocha Scott and Tamika Scott join CAA’s growing roster which has seen recent signings for Logic, Fetty Wap, Wu Tang Clan, Cardi B and A$AP Rocky, as well previous signings that include Kanye West, Tinashe, Andra Day and T.I…..
Kandi makes it very clear she’s truly supportive of Xscap3. The singer posts a picture of the group on social media with this message. Why do you want us to be mad? They did do shows with just 3 of them a long time ago. I wasn’t mad then and I’m not mad now. Why can’t you just be happy for all us & what we chose to do with our lives?… We did a tour for our fans. It was awesome. We don’t have to do everything together. It’s not a bad thing. We’re grown & living our best life! I hope the same for you Luv. Mathew Knowles Clarifies Comments On Colorism/ New Book ‘Destiny’s Child: The Untold Story’ On The Way. A week ago, Mathew Knowles made headlines because of his recent Ebony Magazine interview. Mathew Knowles talked about colorism in the Black community and how he thought ex-wife Tina Knowles was white when they first met…. In a new interview Page Six, Mathew clarifies his recent statement about colorism. During an interview Mathew Knowles expanded upon his forthcoming book, “Racism From the Eyes of a Child,” by stating that the passages stem from his point of view and shouldn’t be pinned to his daughters, Beyonce and Solange Knowles. He added he never had a “discussion about colorism” with his daughters or other members of Destiny’s Child because he felt “that’s not a conversation that I thought they needed to be a part of.” In an interview with Ebony magazine that sparked this conversation, Knowles said his mother used to tell him to not bring a “nappy-head black girl” home and experienced the “brown paper bag test” when he was a student at Fisk University in the early 70s. Also… Mathew Knowles also shared that he’s working on his next book that’ll focus on untold stories behind the award-winning group, Destiny’s Child. He remained tight-lipped on whether or not the passage will feature interviews from all its members. The end of last year, Steve Harvey is being sued by a guy who claims he was hired by the TV mogul to raise $20 million for the Steve and Marjorie Foundation as well as other ventures and got royally stiffed. Click Here if you missed that. Steve Harvey responds in the latest court documents obtained by TMZ. According to reports, Harvey just filed legal docs firing back at Vincent Dimmock, who claimed in his lawsuit he struck a deal with Harvey back in April to raise $20 million, and in return he was promised 12.5% of everything he raked in. He says he got a bunch of A-listers on board and even a former President … with pledges totaling $20 mil. Harvey is calling BS, saying Dimmock originally reached out to him to promote an energy drink, and when that went nowhere Harvey says Dimmock pivoted and falsely told him he had a billionaire in his pocket who would invest big in Harvey’s charity…. Harvey says the entire charade was part of a scheme for Dimmock to meet him. Steve Harvey announces on social media SHOWTIME AT THE APOLLO returns in March. iamsteveharveytvThere’s no time like #ShowtimeAtTheApollo! The legendary show returns March 1 on @FOXTV. There’s no time like #ShowtimeAtTheApollo! The legendary show returns March 1 on @FOXTV. 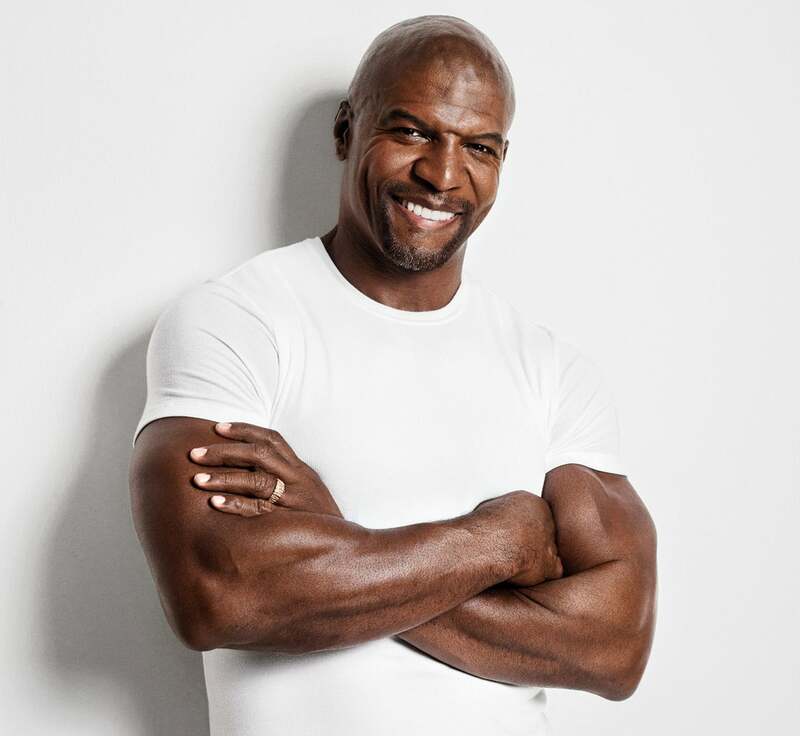 Earlier this month, Terry Crews his role on the ‘Expendables’ may be in jeopardy if he doesn’t drop the lawsuit. Click Here if you missed the story. A sexual assault complaint actor Terry Crews filed to law enforcement has been kicked up to the Los Angeles County District Attorney’s office. “A case was presented to our office on Feb. 6 by the Los Angeles Police Department involving Adam Venit and is under review,” said L.A. County D.A. spokesman Ricardo Santiago in a Friday statement obtained by TheWrap. Gucci Mane is getting the biopic treatment. According to reports, Paramount Pictures is teaming up with Imagine Entertainment, which produces the music industry show Empire and was behind the Eminem movie 8 Mile, to adapt The Autobiography of Gucci Mane. Back in 2016, Stacey talked about she want to run for office in a interview with ET. In response to numerous calls for me to run for office, I am considering a run for Congress. Would love to know what my fans and friends think.